Nowadays, SUVs occupy the automotive market as well as the streets, homes and parking lots around the world. However, things were a lot different 30 years ago when these cars felt much more at home in nature or on the back roads. They were far from shopping malls, expensive nightclubs and suburban driveways. As sports utility vehicles, these cars were rugged and capable machines to conquer a variety of terrain types with ease. And all while providing some degree of comfort to differentiate them from the most spartan off-road vehicles. Slowly but surely, the active lifestyle aspect of early SUVs gave way to comfort, gadgets and amenities. So the cars that originated as comfortable wild beasts became tame city dwellers who could still handle their share of mud, sand and deep gravel. Looking for fun and escapism from everyday urban life, more people are turning to classic SUVs. And these cars offer much more than just everyday usability, including off-road performances with a spirit of freedom and adventure. So, if you want a car to explore the wilderness or a cool, reliable and rugged companion, these 10 classic SUVs are ideal vehicles for your lifestyle. As one of the longest running models in Jeep’s history, the CJ-5 dates to 1954. The Kaiser used an M38A1 Jeep in the Korean War by the Kaiser, a long-forgotten Jeep owner. 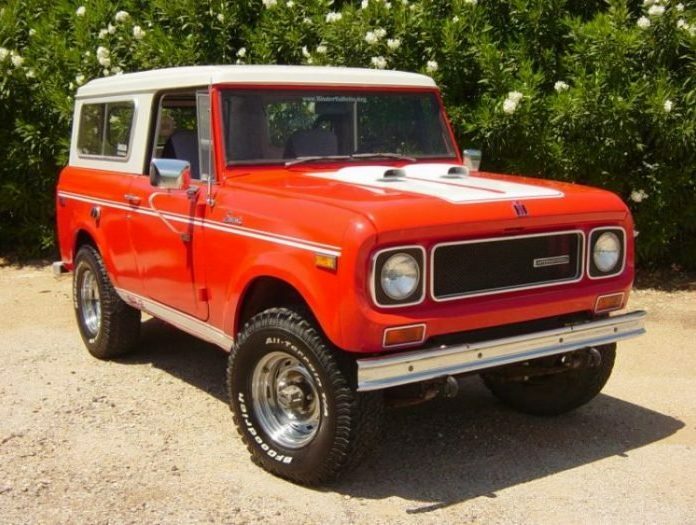 It’s worth noting that the CJ-5 was a basic car, even by classic SUV standards. But it is on the top of the list as the most influential car that started the SUV craze. Both as a model line and a mechanical contraption, the Willys CJ-5, which followed the Jeep CJ-5 after 1964, was an extremely durable car. Also, it was the vehicle of choice for many generations of driving enthusiasts. Apart from regular versions powered by a wide palette of engines, this Jeep also had numerous special editions to attract even more customers. Some of these cars are popular among Jeep collectors of today, like the 1979 Silver Anniversary edition, which they limited to 1,000 pieces. Then there was the 1970 Renegade I and 1971 Renegade II, with their own special sets of colors and low production numbers. They produced the CJ-5 until 1983 in more than 600,000 vehicles. This means there are still hundreds, if not thousands of these off-roaders to keep fans entertained as restoration projects. For those with limited time or talent, go with an already restored vehicle, which is just one turn of the key away from your first CJ-5 adventure. Whatever path you choose, one thing is for certain, you’ll have tons of fun while driving this capable, legendary American icon.